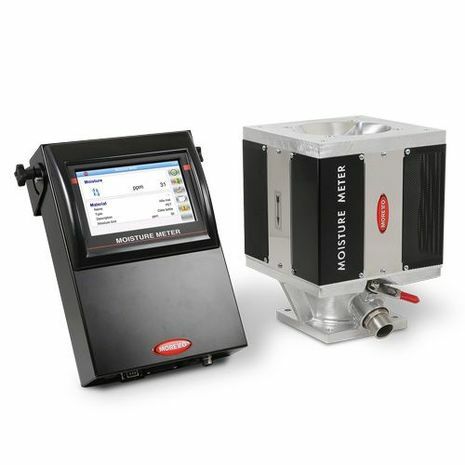 Innovative ON-LINE device for the measurement of intrinsic humidity in plastic granules. Moisture Meter is a patented model. Online measurement of the actual residual moisture in drying systems up to 10 p.p.m.